More Choice. Personalized Support. Ongoing Guidance. Let the experts at Mercer Marketplace 365 help you learn about your health care options so you feel empowered to enroll in a plan that best fits your needs and budget. Learn more about your new health insurance options. Contact us with any health insurance related need. Welcome to Mercer Marketplace 365 Retiree. Our focus is to help you manage your individual retiree health care options, now and in the future. Learn more about what Medicare is, the plans and the options you have. Discover Pre-65 Healthcare and Prescription Drug plan options available to you. Learn more about dental, vision and other insurance options. Contact our team of health insurance industry experts whenever you need help. Whether it's a question you have about your plan options or service from your carrier, we're available when you need help with any health insurance related matter. Schedule a consultation with a benefits counselor at a time that’s convenient for you. You can schedule online. To use the Mercer Marketplace 365 tool to schedule a consultation with a benefits counselor, please click here and follow the instructions. Consultations begin on October 15, 2018. Please read and review these terms carefully. This web site is owned and operated by Mercer Health & Benefits Administration LLC (“Mercer Marketplace 365” or “Mercer”). By accessing and using this web site, you are agreeing to these terms and conditions. We reserve the right to change these conditions as we deem necessary without notice to you. 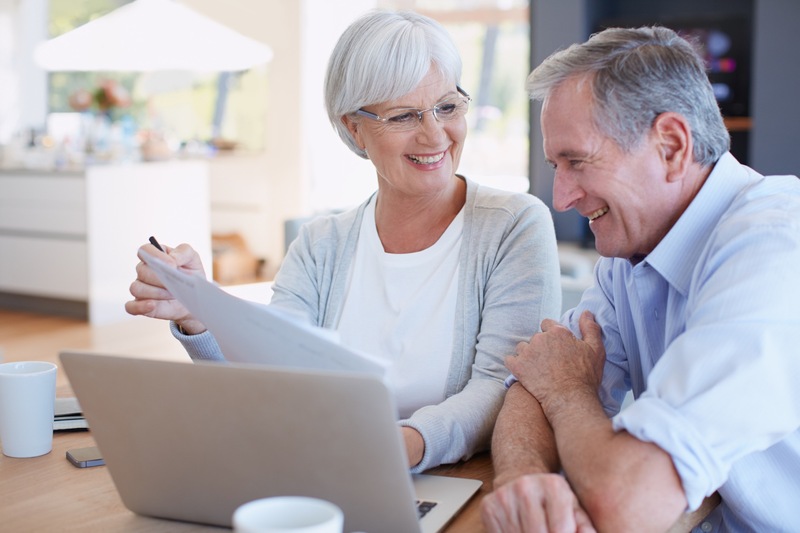 Mercer Marketplace 365, a service provided by Mercer Health & Benefits Administration LLC, provides retirees with services and education as they convert from employer-sponsored group medical insurance to individualized plans. Designed and structured based on interviews and interactions with thousands of retirees, Mercer takes its clients step by step through the process of comparing, evaluating, and selecting individual health insurance plans. Mercer is an insurance broker and not an insurance carrier. Mercer does not fund any claims or coverage, recommend any particular coverage for you, make any representation or warranty that any coverage you obtain through Mercer Marketplace 365 is best aligned with your own needs, or serve as a fiduciary to you or your employer. There may be coverage options available to you other than those offered through Mercer. You are responsible for independently ensuring that your selection of coverage through Mercer is appropriate for you. In accordance with industry custom, Mercer’s compensation for these services consists of commissions paid by insurers that are calculated as a percentage of the insurance premiums those insurers collect for the coverage you obtain, or a fixed dollar amount per subscriber. The rate of compensation paid to Mercer is generally fixed at the time of placement or renewal, and may vary among insurers or among the products offered by an insurer. In certain instances, Mercer may also be paid supplemental commissions in addition to base commissions. These supplemental commissions may also be paid at a rate that is fixed at placement or renewal, or be paid at a rate of commission that may change following placement or renewal based upon factors such as the volume, growth and/or retention of Mercer’s book of business with the insurer or service provider. Mercer may also receive additional monetary and non-monetary compensation from insurers or others that includes payment for marketing or technology related expenses, and other service fees. Upon your request, additional information is available from Mercer regarding its role and compensation from insurers. You may obtain this information by contacting Mercer at 1-888-434-1144. Insurance obtained through Mercer Marketplace 365 is provided by a separate and independent insurance carrier under terms and conditions exclusively set forth in the insurance contract issued by your insuring carrier. Among other items, these insurance terms and conditions define one’s eligibility for coverage, available benefits, coverage duration, claims processes and any other conditions that must be satisfied to obtain and maintain coverage. You should refer to the terms and conditions issued by each carrier and service provider for a complete description of coverage or service, and make your own independent judgment as to whether this coverage or service satisfies your insurance needs. As these carriers and service providers are separate and independent from Mercer Marketplace 365, Mercer Marketplace 365 is not responsible for any carrier’s or service provider’s failure to provide coverage or service, including but not limited to any failure resulting from the carrier’s or service provider’s current or future financial condition or solvency. Any insurance or service you obtain through Mercer Marketplace 365 is provided based upon information supplied by, or on behalf of, you. You should accurately and completely provide any information required. A failure to provide complete or accurate information could result in a voiding of coverage or denial of claims. Mercer is not responsible for the accuracy or completeness of the information you or your representative supplies. To the extent you are using Mercer Marketplace 365 to review or submit claims, you agree and acknowledge that you have reviewed your plan terms, claims submitted are eligible for reimbursement under the plan, and claims may be denied in whole or in part as a result of your failure to submit complete or accurate information, including any supporting documentation that may be required or requested by the plan. This web site has been created by us to provide information about health care coverage. This information is for general informational purposes only. Nothing on this web site should be construed as medical advice. This web site does not offer medical diagnosis or patient-specific treatment advice. It is important that you consult with your own health care professional about your specific situation. You are hereby granted a personal, limited, non-exclusive, non-assignable and non-transferable license to access and use Mercer Marketplace 365 according to this Agreement. Your right to use all or any portion of Mercer Marketplace 365 may be revoked by Mercer Marketplace 365 at any time. Mercer Marketplace 365 has security and validation mechanisms in place to reasonably assure that no one uses Mercer Marketplace 365’s Services without proper authorization. You shall not violate or attempt to violate the security or validation mechanisms of Mercer Marketplace 365 or related websites. If you attempt to circumvent the security or validation mechanisms, your account will be barred from Mercer Marketplace 365. If you willfully or knowingly attempt to misrepresent your identity at any time, your use of Mercer Marketplace 365 will be denied. Any applicable court or governmental agency or authority may be notified of any suspected fraudulent use of Mercer Marketplace 365 or violation of its security or validations mechanisms. Any and all information transmitted or received through Mercer Marketplace 365 may from time to time, be monitored. The transmission or receipt of any information which is deemed inappropriate or that violates any term or condition of this Agreement may, without further notice to you, be reviewed, censored or prohibited. During monitoring, information may be examined, recorded, copied, and used for authorized purposes. Unauthorized uses and unauthorized users of Mercer Marketplace 365 will be prosecuted to the full extent of the law. You represent and warrant that (a) you will not delete any of the information included on Mercer Marketplace 365, including all the text, graphics, photographs, graphs, sounds, images, audio, page headers, software (including HTML and other scripts), buttons, video and other icons and the arrangement and compilation of this information (collectively, the "Information"), (b) you have full authority and all rights necessary to enter into and fully perform all of your obligations pursuant to this Agreement or obtain the coverage or service selected, (c) the information you have provided is complete and accurate, and (d) you have not and you will not perform any act which might contravene the purposes or effects of this Agreement. The material on Mercer Marketplace 365 is copyrighted information of Mercer. All rights they may have in the copyrighted material are reserved. All Information is either owned or licensed by Mercer Marketplace 365. The associated logos, and all page headers, custom graphics, buttons, and other icons are service marks, trademarks, registered service marks, or registered trademarks of Mercer. The Information is protected by contract law and various intellectual property laws, including domestic and international copyright and trademark laws. All other product names and company logos mentioned on Mercer Marketplace 365 or Information are trademarks of their respective owners. The Information is the valuable, exclusive property of Mercer. Nothing in this Agreement shall be construed as transferring or assigning any ownership rights in the Information to you or any other person or entity. You may use the Information solely for using or accessing the Services for your personal, non-commercial use. You may not use the Information for any other purpose. You may download, view, copy and print the Information incorporated into Mercer Marketplace 365 solely for your use consistent with the business purposes of Mercer Marketplace 365. However, except as expressly permitted on Mercer Marketplace 365, you may not copy, adapt, distribute, commercially exploit, or publicly display the Information or any portion of the Information in any manner whatsoever without Mercer's or other owner’s prior written consent. You may not use the information to facilitate unfair competition with Mercer Marketplace 365 or the Services or in any manner which violates applicable U.S. or international law. Under no circumstances will you acquire any ownership rights or other interest in the Information through your access of Mercer Marketplace 365. The license granted to you in this Agreement does not permit you to resell, redistribute, broadcast or transfer the Information or use the Information in a searchable, machine-readable database or file except through authorized access to Mercer Marketplace 365. You may not remove, alter or obscure any copyright, legal or proprietary notices in or on any portion of the Information. You may not rent, lease, sublicense, distribute, transfer, copy, reproduce, publicly display, publish, adapt, modify, create derivative works, store or time-share Mercer Marketplace 365, any part thereof, or any of the Information received or accessed from Mercer Marketplace 365 to any other person or entity unless you first obtain Mercer’s specific written authorization. You agree to use Mercer Marketplace 365 and Information from the Service for lawful purposes only. You agree not to post or transmit any information through Mercer Marketplace 365 which (a) infringes the rights of others or violates their privacy or publicity rights, (b) is unlawful, threatening, abusive, defamatory, libelous, vulgar, obscene, profane, indecent or otherwise objectionable, (c) is protected by copyright, trademark or other proprietary right without the express permission of the owner of such right, (d) contains a virus, bug or other harmful item, or (e) is used to unlawfully collude against another in restraint of trade and competition. You shall be solely liable for any damages resulting from any infringement of copyright, trademark, or other proprietary right, or any other harm resulting from your wrongful use of Mercer Marketplace 365. Mercer Marketplace 365 will not audit or otherwise verify information you provide to obtain coverage or the service you select. Mercer Marketplace 365 is not responsible for any insurance coverage or services obtained, including any changes thereto, or any benefits thereunder, or any claims, paid or denied, or any penalties or interest related thereto. Your use of Mercer Marketplace 365 is at your own risk. Mercer Marketplace 365 is provided “as is.” To the maximum extent permitted by applicable law, Mercer Marketplace 365 disclaims all representations and warranties, express or implied of any kind with respect to Mercer Marketplace 365 and the Services, including warranties of merchantability, fitness for a particular purpose and non-infringement of intellectual property rights. Without limiting the generality of the foregoing, Mercer Marketplace 365 does not warrant the availability, accuracy, completeness, timeliness, functionality, reliability, sequencing or speed of delivery of Mercer Marketplace 365 or the Services. Mercer Marketplace 365 does not warrant that your use of Mercer Marketplace 365 or the Services will satisfy or ensure compliance with any legal obligations or law or regulation. The foregoing disclaimer applies to any and all damages or injury, including those caused by any failure of performance, error, omission, interruption, deletion, defect, delay in operation or transmission, computer virus, communication line failure, theft, destruction or unauthorized access to, alteration of or use of Mercer Marketplace 365 or the Services, whether for breach of contract or any other cause of action. You are solely responsible for ensuring that your use of Mercer Marketplace 365 and the Services is in compliance with applicable law. Mercer specifically disclaims that Mercer, including any of its affiliates and vendors, is in any manner acting as a fiduciary, trustee, ‘administrator’ or ‘named fiduciary’ under any employee benefit plan. This Agreement shall be governed by the laws of the State of New York, without regard to conflicts of laws principles. You hereby irrevocably and unconditionally submit to the jurisdiction of the United States District Court for the Southern District of New York and the Supreme Court of the State of New York, New York County, for the purposes of any suit, action or other proceeding arising out of this Agreement or your use of Mercer Marketplace 365 or the Services. To the extent allowed by applicable law, any claims or causes of action arising from or relating to your access and use of Mercer Marketplace 365 or the Services must be instituted within two (2) years from the date upon which such claim or cause arose or was accrued regardless when any such claim or cause of action was discovered or reasonably should have been discovered. YOUR USE OF MERCER MARKETPLACE 365, THE SERVICES AND THE CONTENT CONTAINED HEREIN IS ENTIRELY AT YOUR OWN RISK. MERCER MARKETPLACE 365 AND THE SERVICES ARE PROVIDED “AS IS” TO THE MAXIMUM EXTENT PERMITTED BY APPLICABLE LAW. ACCORDINGLY AND TO THE MAXIMUM EXTENT PERMITTED BY APPLICABLE LAWS, NEITHER MERCER NOR ANY OF ITS AFFILIATES, AGENTS OR EMPLOYEES IS LIABLE FOR ANY OF THE FOLLOWING: (A) ANY INDIRECT, INCIDENTAL, SPECIAL, EXEMPLARY, PUNITIVE OR CONSEQUENTIAL DAMAGES HOWEVER CAUSED ARISING OUT OF YOUR USE OF, OR INABILITY TO USE, MERCER MARKETPLACE 365 OR THE SERVICES; (B) DAMAGES RELATING TO FAILURES OF TELECOMMUNICATIONS, THE INTERNET, ELECTRONIC COMMUNICATIONS, CORRUPTION, SECURITY, LOSS, THEFT OR ALTERATION OF DATA, VIRUSES, SPYWARE, LOSS OF BUSINESS, REVENUE, PROFITS OR INVESTMENT, OR USE OF SOFTWARE OR HARDWARE THAT DOES NOT MEET SYSTEMS REQUIREMENTS; AND (C) ANY DIRECT OR OTHER DAMAGES IN EXCESS OF THE COMPENSATION MERCER RECEIVES WITH RESPECT TO THE SERVICES SPECIFICALLY PROVIDED TO YOU GIVING RISE TO SUCH DAMAGES OR $100,000 WHICHEVER IS GREATER. THE ABOVE LIMITATIONS APPLY EVEN IF MERCER AND ITS SUPPLIERS AND SUB-CONTRACTORS HAVE BEEN ADVISED OF THE POSSIBILITY OF SUCH DAMAGES. You acknowledge that Mercer Marketplace 365, the Services and the underlying software may include U.S. technical data subject to restrictions under export control laws and regulations administered by the United States government. You agree that you will comply with these laws and regulations and will not export or re-export the Services, or any part of the Services, in violation of these laws and regulations, directly or indirectly. Mercer accommodates and does not interfere with standard technical measures used by copyright owners to protect their materials. Your license to use Mercer Marketplace 365 or the Information may be terminated if it is determined that you are involved in any infringing activity, regardless of whether the material or activity is ultimately determined to be infringing. The terms and conditions of this Agreement, the Service and Mercer Marketplace 365 may be modified from time to time by Mercer. Such modifications may include, without limitation, changes to the Services, changes in implementation of user priorities, implementation of rules for use by you, and discontinuance of functional aspects of Mercer Marketplace 365. Information within Mercer Marketplace 365 may also be added, withdrawn or modified at any time. You accept full responsibility for use of your username and password and for maintaining the confidentiality of your username and password. You are the only person authorized to use your username and password. You shall not permit or allow other persons to have access to or use your username or password. You may not disclose any Information to any third party, except to your financial, legal or tax advisors, and others with whom you share medical decisions (if applicable to the Service) or the Services provided by or through Mercer Marketplace 365. You are solely responsible for the confidentiality and security of your password. If, at any time, you learn or suspect that your password has been disclosed or otherwise made known to anyone other than yourself, you agree to immediately notify Mercer. Re-issuance and reactivation of passwords is subject to applicable security and validation procedures. You will not receive a new password if you have violated, or allowed others to violate, the applicable security procedures. Termination or cancellation of this Agreement shall not affect any right or relief to which the Mercer may be entitled, at law or in equity. Upon termination of this Agreement, all rights granted to you will terminate and revert to Mercer, as applicable. This Agreement shall remain in full force and effect unless terminated or canceled for any of the following reasons: (a) immediately by Mercer for any unauthorized access or use by you except as expressly provided in this Agreement; (b) immediately by Mercer if you assign or transfer (or attempt the same) any rights granted to you under this Agreement; or (c) immediately by Mercer if you violate any of the other terms and conditions of this Agreement. Upon termination you must immediately stop using Mercer Marketplace 365 and the Services. Mercer shall not be liable for any loss or liability resulting, directly or indirectly, from delays or interruptions due to electronic or mechanical equipment failures, data processing failures, telephone interconnect problems, utility failures or problems, defects, weather, strikes, walkouts, fire, acts of God, riots, armed conflicts, acts of war, or to other like causes beyond the reasonable control of Mercer. Mercer shall have no responsibility to provide access to the Service while the interruption of Mercer Marketplace 365 and/or the Service exists.